Cibolo, Texas is a small town on the northeast side of metro San Antonio. There are several subdivisions that make up Cibolo real estate. Each of the neighborhoods offer various housing types. Superb Subdivisions include Bentwood Ranch, Charleston Parke, Saddle Creek Ranch, Buffalo Crossing, Braewood, Turning Stone, Town Creek Village, Spring Tree, Enclave at Willow Pointe and Fairway Ridge among others. Cibolo real estate is surrounded by many wonderful amenities. There are several parks in Cibolo that are great for kids and parents alike. Parks such as Al Rich Park and Niemietz Park have baseball and softball fields, basketball courts and picnics areas. Niemietz Park also has volleyball courts and soccer fields as well as a football field, walking trails, a playground and concessions. Schlather Park features a Frisbee golf course, a playground and barbecue areas, while Veterans Memorial Park has a football field, a playground and barbecue areas. Cibolo is located in Guadalupe County as well as Bexar County. This is a great location for activities with many trails for jogging and hiking, acres of wilderness. The Guadalupe River is also nearby where residents can fish and canoe. Residents who love golf will find the wonderful 18-hole Northcliffe Golf Course. Cibolo real estate resides in close proximity to major freeways such as interstate 35 and loop 1604 so there is easy community to downtown San Antonio. It is also a short drive to the shops at La Cantera, The Rim shopping and San Antonio International Airport. The town is home to the Randolph Air Force Base, so Cibolo features a large military community. Property choices are available for any type of lifestyle from singles to small and large families to empty nesters. There are homes to fit all budget and design needs. Full of rich history, Texans are very proud of the Battle of the Alamo. The King Williams historic district is the art guru’s favorite place for entertainment, eclectic night life and ample shopping. 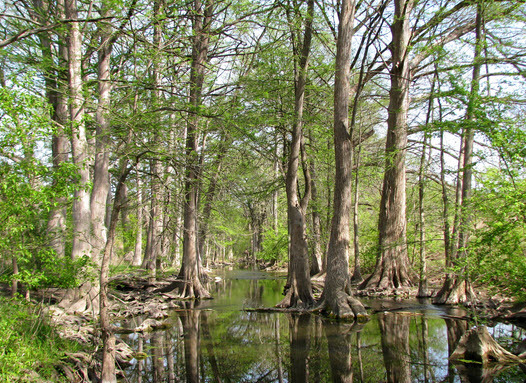 Residents can also take advantage of the Cibolo Nature Center, which is 100 acres of trails and Wilderness Park. The city strives to preserve and protect the local wildlife. Homes for sale in Cibolo range in home price from the mid $200,000s up to $1,000,000. Cibolo real estate ranges in size from about 1,200 square feet to about 5,200 square feet. Property choices are available in a variety of floor plans including 3 bedroom, 4 bedroom, 5 bedroom and 6 bedroom options. Floor plans also have 2 bathroom, 3 bathroom, 4 bathroom or 5 bathroom options. Schertz-Cibolo-Universal City Independent School District is zoned for Cibolo real estate. There are total of 15 schools in this district, giving families with children of all ages ample educational opportunities. Highly regarded schools in this area include Green Valley Elementary School, Barbara C. Jordan Intermediate School, J. Frank Dobie Junior High School and Byron P. Steele II High School. If you would like more information about the homes for sale in Cibolo or any San Antonio real estate, please contact the real estate professional at McNabb and Co. at 512-667-9129. Find Homes for Sale in Cibolo, Real Estate and Lifestyle Info. This 2-story home boasts from 3,388 to 3732 square feet of functional living space. This home features 4-5 bedrooms and 3.5 baths. You are welcomed by a large foyer with a secondary suite tucked away near the entrance. When building, the den can be turned into a study or into bedroom 5. You will love the ugraded gourmet kitchen. The family room features an optional corner fireplace and large windows with backyard views. Also on the first floor is the master suite. This one and a half story home boosts from 2,778 to 3,143 square feet of functional living space and features 3-5 bedrooms, 2-4 bathrooms, and many other customizable options. When building this home you have the option to turn the study into a fourth bedroom with a third full bathroom. Tucked away in the back of the home is a spacious private master suite. Increase your master suite in size by adding a bay window. In the master bathroom, you will find a very large walk-in closet. Located on an oversized cul-de-sac home site, this hm boasts 4 bedrooms, 3.5 baths w/gm rm & study. The chef's kitchen is open to the family & has built in SS appliances, beautiful oversized granite island and lg pantry. The family room features a floor to ceiling stone fireplace w/built-in entertainment area. The huge master suite featuring a tray ceiling opens to the spa-like master bath w/ granite c-tops, oversized mud-set shower w/ separate tub & his and hers walk-in closets! Beautiful wood flooring throughout common areas. CURRENT ARMADILLO MODEL HOME. OPEN FLOOR PLAN. 4 BEDROOM, 3 BATH, 2 CAR GARAGE HOME FEATURES A STUDY AND FORMAL DINING. CERAMIC TILE IN ENTRY, KITCHEN AND GREAT ROOM. WOOD FLOORS IN STUDY AND DINING. CUSTOM INTERIOR PAINT ACCENTS. MANY SPECIAL UPGRADES FOUND IN THIS MODEL HOME. GREAT OPPORTUNITY TO OWN A FORMER MODEL HOME. This 1-story home contains 2,360-2,428 square feet of functional living space and features 3-4 bedrooms, 2-3 bathrooms, and multiple other customizable options. When building this home you have the option to turn the study into a fourth bedroom with a third full bathroom. Upgrade your kitchen to a Gourmet kitchen and have a built-in microwave and oven and add a box-out or bay window to the breakfast area. Tucked away in the back of the home is a spacious private master suite.